More awesome adventures are making their way to Hand of Fate 2 on Nintendo Switch! Defiant Development announced that ‘The Servant and The Beast’ DLC pack would be making its way to Nintendo fans ‘soon’. The DLC features a new quest and a monstrous ally – the Shadow Beast! Additionally, the game will be receiving the ‘Combat Reforged’ free update – which enhances the game’s combat system with new mechanics and re-balanced enemies. 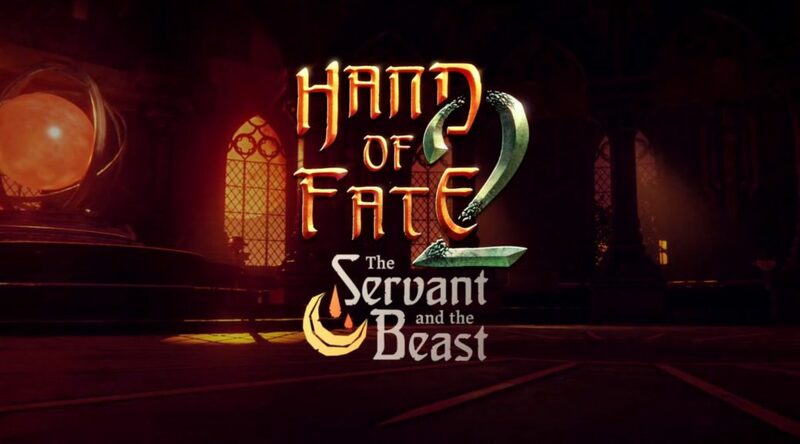 BRISBANE, QLD – Oct. 15, 2018 – Hand of Fate 2, the acclaimed action role-playing game from Defiant Development, expands today with The Servant and The Beast downloadable content and the “Combat Reforged” update. Available now for PlayStation 4, Xbox One, PC, Mac, and Linux, the DLC and free update will also be released soon on Nintendo Switch.